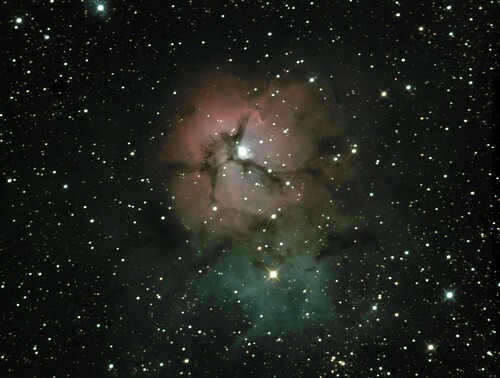 NGC6514, the Trifid Nebula, Celestron 9.25 XLT SCT, taken using Nebulosity3, darks subtracted with GCX in Ubuntu, post processing with MaximDL and Nebulosity 3, stacked and more processing with GIMPshop in Ubuntu. 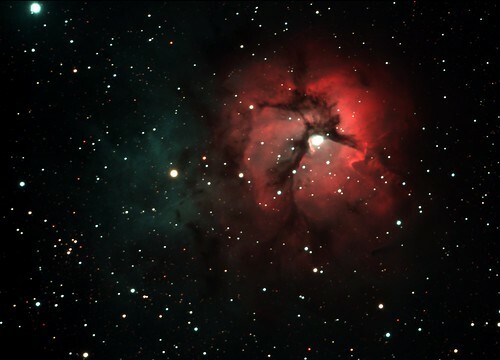 Approximately 10 hours of exposure. 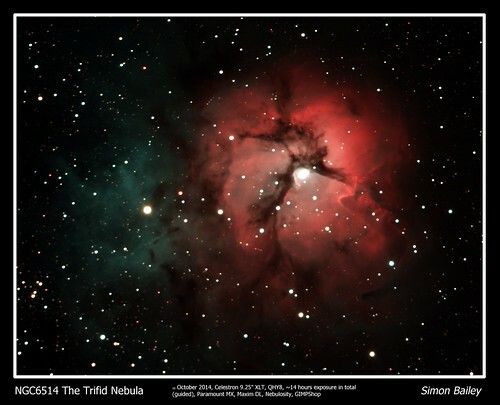 The Trifid Nebula is so called not because it looks like a Trifid (nothing like them actually), but because the nebula is actually made up of three separate clouds, each in their own space but seen from our perspective looking like one.